Yes another company that is cold calling, this one by the name of Euro-Brook Ltd, is asking for payments by UKASH Vouchers in order for consumers to recuperate their money. Euro Brook Ltd is a UK Registered company, but as with all the other companies we have on the blog that use a similar “modus operandi”, the real Euro Brook Ltd is most probably not aware of these people mis-using their name. He seems to know everything about the previous dealings of the consumer with a dubious company, and assures them that money can be recovered without any problem as the court has settled in a case against the company. 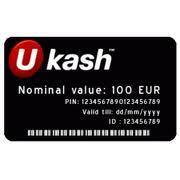 In order to get the awarded money to the consumer, Euro-Brook needs to verify the identity of the consumer and proposes to do this by purchasing UKASH Vouchers. The consumer is asked for a voucher in the amount of £100 and another one £200. After purchasing the vouchers, the identity is confirmed with an agent from UKASH (fake). The consumer is asked for the code on the voucher and this then will confirm their identity. Once the vouchers have been confirmed, the consumer is going to receive the awarded money by cheque which will be delivered in a couple of days by a courier. Unfortunately the courier never arrives. And the consumer finds out that the UKASH vouchers have been cashed in the meantime. There are cases though where the agent from Euro Brook Ltd calls back before the cheque is due, and tells the consumer that the money was going to be transferred from a bank in Spain but is held up in a bank in Morocco. Again more payments are requested by UKASH Vouchers, £200 for the tax office. Please note that there are no court cases with money awarded for the victims, and certainly this would not be processed by a cold calling company asking for UKASH Vouchers. If you are contacted by Euro-Brook Ltd from 08432896803 or any other company with a similar story then please let us know. This entry was posted in Mediation services, Warnings and tagged Court case, Euro Brook Ltd, Reclaim Company, Scam, Spanish Court case, timeshare, UKASH Voucher. Bookmark the permalink. Hi I would like to inform you that a Company called Averglade and a person named Mark Harrison is also making calls. I hAve received several calls over the last three days but, I M ignoring him. I just thought that you would like to know.